If you think of aggressive dogs, you probably think of pit bulls, rottweilers, and other large dogs. Among those are wolf hybrids. While most larger dogs have been domesticated to the point of being safe around people, wolf hybrids have proven themselves unsafe, even when their upbringing is ideal. Those who keep wolf hybrids on their property are in tricky legal terrain. Florida is a strict liability state when it comes to dog bites. Regardless of whether or not the dog is a toy poodle or a wolf hybrid, the owner of the dog is required to pay any expenses related to the dog bite. FLSA 767.04 details Florida’s dog bite statute. So long as the injured party does not provoke the dog, the owner is liable. In some cases, if the owner had a dog (like a wolf hybrid) that is outside the scope of typical pet ownership, they can be held liable for punitive damages and administrative levies. Florida has specific regulations for wolf hybrid owners. Wolf hybrids, unlike other dogs, are considered captive wildlife and not pets. As such, there are different regulations that apply to them. They also require a license to keep. Dogs that are hybridized with wolves are subject to these statutes. Wolves are feral species that have not spent generations cohabiting with humans. When dogs and wolves are interbred, it’s impossible to know if the result will be an animal that’s fit to have around people. Wolf hybrids are largely considered more aggressive than even those dogs that tend to bite others. That’s because a domesticated dog raised in a loving environment is likely to have a good relationship to humans. Andre Ariel Thomas, a 13-month old boy, died after being attacked by a wolf hybrid. The animal reportedly ripped out his jugular and bit him “hundreds” of times. Just last year, a wolf-dog hybrid mauled an 8-day old baby. The child was rushed to a nearby hospital and then airlifted to another facility where she later died. Authorities considered pressing charges against her parents. The wolf-dog was euthanized. The death prompted a discussion about whether or not people should be able to own wolf-dog hybrids. While there are some homeowner’s insurance policies that will not cover certain breeds of dogs, there are no homeowner’s insurance policies that will cover an animal that is considered captive wildlife by Florida statute. 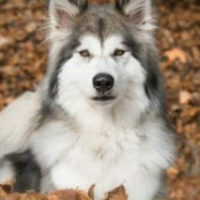 If you are bitten by a dog and later find out that it was a wolf-dog hybrid, you may have trouble filing a claim on the at-fault party’s homeowner’s insurance policy. You can, however, sue the party directly for damages. Gillette Law represents those injured by negligent owners in dog bite cases in Jacksonville. Give us a call or talk to us online set up a free consultation today.